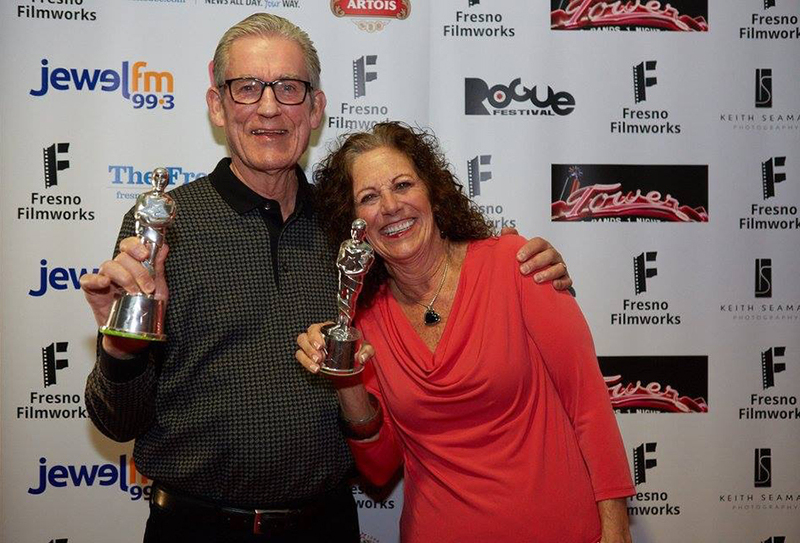 The Academy would like to congratulate volunteers Conde and Ann McGowan on their good work for Filmworks. Ann and Conde have lived in Fresno for 38 years. They met in Milwaukee, Wisconsin, and moved around the Midwest for several years before finally settling down in Fresno after the birth of their daughter. Conde’s brother started a printing business in Fresno called Automated Office Systems. Conde was busy with work, so we sat down with Ann for a conversation. What do you like to do outside of work? Ann is a world traveler, and she has fallen in love with the arts over the years. Her love came first, followed closely after by Conde — who, Ann says, took a little bit more convincing. What’s in your Netflix queue right now that you would recommend? Although Ann says she has grown to love the arts and film as well, she hasn’t been to a theater to see a film outside of Fresno Filmworks since as long as she can remember — but Netflix is a different story. Filmworks thanks all of our March 2016 volunteers: Chris Austin, Richard Flores, Megan Ginise, Satch Gonzales, Linda Hernandez, Andy Julian, Kristie Leyba, Richard Markley, Monica Marks, Ann McGowan, Conde McGowan, Steve Ohanesian, Andrew Ranta, Gene Richards, Justin Secor, Suzanne Watkins.